Most important metrics… you need these important pieces of information to know how your strategies are working and if you’re achieving your goals. 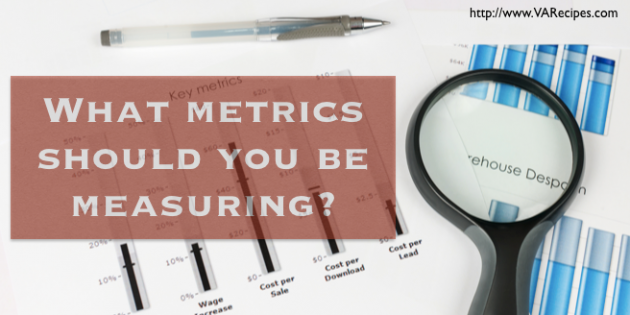 Metrics are an important part of any successful business. There are a lot of different pieces of information to look at. Instead of trying to juggle it all, which can be overwhelming, start with the most important metrics – the ones that will have the most impact on helping you plan and grow your business. Search – Traffic that finds you from search terms. Referral – Visitors that find your site by clicking on links from other sites and sources. Conversions are when your visitor takes a desired action. These actions can include opting into an email list. Like traffic, you want to measure both types of conversions. Who is converting, when are they converting, and why – what brings them to your site before they opt-in or make a purchase? Engagement is important because it tells you how your audience prefers to interact. And if you dig a bit deeper, it can tell you how many times a customer engages before they make a purchase. It can help you plan not only where you share content, but also how often you share and what type of content works best. How much do you have to spend to earn a customer? If you’re like most entrepreneurs, you aren’t really sure. Think about this: it doesn’t matter if you have a high conversion rate if you have to spend so much money to earn those conversions that the sales don’t make you a profit. Start tracking how much you spend on marketing, advertising, and other revenue generating tactics (like affiliates) and then divide this number by the number of customers you earn in a specific time period. This is your cost per acquisition. This helps you focus on the conversion and traffic generation tactics that are most cost-effective. Finally, take a look at your bounce rate. This is the number of people who visit your site but leave without taking any action. They don’t click on anything and they don’t visit any additional pages. They bounce. This can help you fine-tune your website and your marketing so that you’re attracting people who will take action. The key tool to help you accomplish all of this and start tracking the metrics that matter to your business is an analytics tool. Google Analytics is free and relatively easy to use. 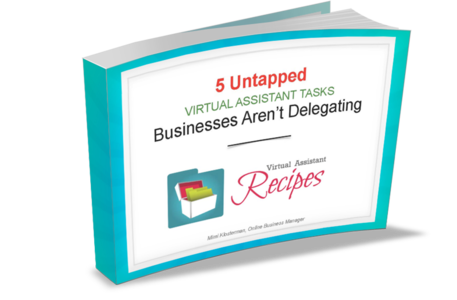 Your VA can get you set up on the tool and even send you regular reports so you only have to look at the information you need to know to plan and grow your business. As you can see, there are a number of steps. The good news is that with this checklist, access to your Google dashboard, and some information from you, your VA can take care of the majority of these steps. Then, all you need to do is determine what information you need and when you need it. Your VA can generate the reports for you, or you can visit your analytics account and review the data for yourself.